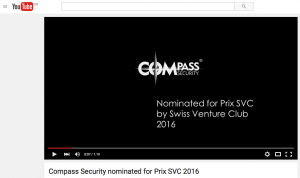 Compass Security proudly announces its nomination for the Prix SVC (Swiss Venture Club) award 2016. 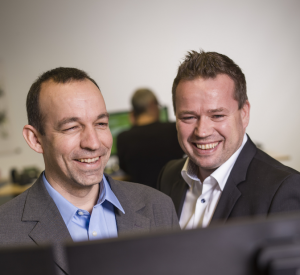 Out of 180 companies, Compass Security was selected as one of the most innovative companies in the eastern region of Switzerland. Because the award ceremony is being broadcasted by TVO, we had to slip into a tuxedo and play the “license to hack” story. Please watch the teaser video on YouTube! The award ceremony will be held on March 10th, 2016 at the Olma Hallen in St. Gallen. We don’t yet know the final score but we will keep you updated. Thank you for the trust and confidence you have in Compass Security! !